Fuji Heavy Industries Ltd., maker of Subaru-brand vehicles, rose to profitability during the April-December period, burgeoned by growing vehicle sales overseas. The Japanese automotive and aerospace manufacturing company posted net income of 58.4 billion yen (about $716 million) during the first nine months of its 2011 fiscal year, swinging from a loss of 15.2 billion yen for that period last year. Fuji Heavy Industries’ fiscal year ends on March 31. Net sales also rose 16 percent to 1.17 trillion yen, from 1.01 trillion yen for the same period last year. Subaru accounted for more than 90 percent of the Tokyo company’s net sales. Fuji Heavy Industries also produces aerospace and industrial products. Subaru sales overseas helped offset the strength of the yen, which caused Fuji Heavy Industries to lose 26.3 billion yen on currency exchange in the third quarter alone. The company forecasts a currency exchange loss of 38.4 billion yen for the entire fiscal year. North American distributor Subaru of America is expecting sales to rise 27 percent from its previous fiscal year, when the company posted net sales of $5.32 billion. But income will drop by more than half because of the yen’s rising value, the company said. Subaru of Indiana Automotive Inc. will remain just as profitable as the previous year with $56 million in net income, even though the firm expects sales to jump 68 percent during that period to $3.79 billion. Subaru produces the Legacy, Outback and Tribeca models on one line at its Lafayette, Ind., plant. A second line produces the Toyota Camry. Toyota has a 16.5 percent shareholder stake in Fuji Heavy Industries. 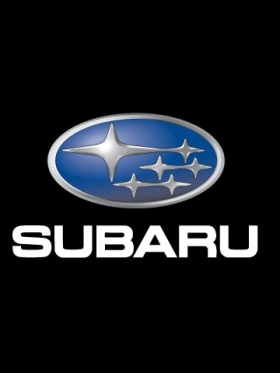 Subaru was unique among automakers and brands because it was the only company to post increased U.S. sales for three years in a row, from 2008 to 2010. Domestically,Subaru posted sales of 11.8 billion yen in the first nine months, down less than one percent from 11.9 billion for that period the previous year. The firm raised its net income projection for the entire fiscal year to 63 billion yen from its previous forecast of 50 billion yen. This comes after posting a 16.5 billion yen loss for the previous fiscal year. Overall sales are projected at 1.60 trillion yen, up from the previous forecast of 1.59 trillion. Fuji Heavy Industries posted sales of 1.43 trillion yen in its previous fiscal year.